Michael E. Brown was born on June 5th, 1965. He is a famous astronomer known for his work on distant objects (beyond Neptune) orbiting the sun. His biggest achievement is the discovery of the dwarf planet Eris, which is larger than Pluto. Mike Brown is from Huntsville, Alabama. He studied at the Virgil I. Grissom High School from which he graduated in 1983. In 1987, he earned his Bachelor of Arts in physics from Princeton University and he was also a member of the Princeton Tower Club during his time there. Brown earned an M.A. in astronomy in 1990 from the University of California, Berkeley. He continued his education and got his Ph.D. from the same institute in 1994. In March of 2003, Brown married Diane Binney. They have one daughter, Lilah Binney Brown, who was born in July of 2005. Today, Dr. Brown teaches undergraduate and graduate students at Caltech. 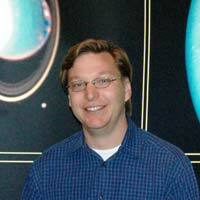 His subjects range from introductory geology to the formation and evolution of our planetary system. He is also frequently invited to planetariums, science museums, college campuses and astronomical meetings to give lectures. Dr. Brown is best known for his work on the trans-Neptunian objects (TNO), which are objects that orbit the sun beyond the orbit of the planet Neptune. His most famous achievement was the discovery of Eris, the dwarf planet, which is bigger than Pluto, which counted as one of the nine planets at that time. His discovery led to Pluto being re-designated as a planetoid. His team gave informal names to Eris and its satellite, Dysnomia. Eris was informally called Xena and its moon, Dysnomia, was called Gabrielle. The names were inspired from the characters of Xena: Warrior Princess. Dr. Brown’s team is also credited with the discovery of planetoids 90377 Sedna and 90482 Orcus. Brown’s discoveries have led to a greater understanding of dwarf planets, which are also called planetoids. As a consequence of his findings, Pluto lost its status as a planet and was downgraded to a planetoid. Mike jokingly refers to himself as the man who killed Pluto. Other than his work with TNOs, Michael Brown is also famous for his writings. He has authored about 100 scientific papers and his works have been published by World Book Science Year, Physics Today, and the New York Times. His memoir of discoveries, How I Killed Pluto and Why It Had It Coming, was published in 2010. He has also taught a number of students during his career who are making a name for themselves in the field of astronomy. Some of notable among them are Megan Schwamb, Emily Schaller, Darin Ragozzine, Antonin Bouchez, Adam Burgasser, Chad Trujillo, Jean-Luc Margot and Marc Kuchner. During his career, Mike E. Brown has won several awards and had many honors. For instance, Asteroid 11714, which was discovered in April 1998, was named Mikebrown in his honor. Time magazine also put him on its list of the 100 most influential people of 2006. In 2007, Brown received Caltech’s most prestigious teaching honor, the Richard P. Feynman Award. He was also awarded the Kavli Prize in Astrophysics in 2012.